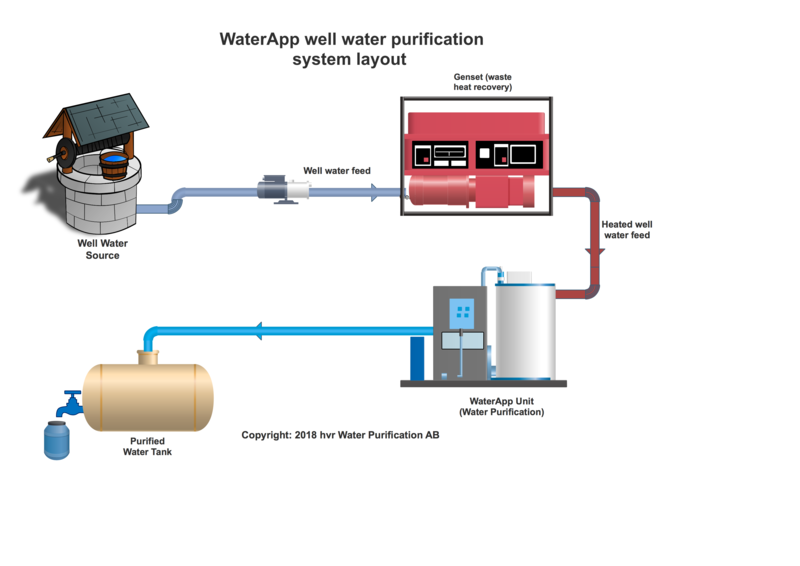 We are currently installing the first WaterApp demo unit for the purpose of drinking water supply for School in Balasore, in Odisha (Orisa) state, India. The Odisha WaterApp drinking water project is aimed at removal of the high level of Fluoride in the well-water currently used by the School. Fluoride is known to pose a variety of health risks such as dental and tooth fluorosis. The effect of consuming Fluoride contaminated water is pronounced on children and also at prenatal stage, hence removing the fluoride before it reaches the Children’s drinking glass is a crucial procedure. The WaterApp unit will be installed in January 2019. It will initially be powered by coolant from a diesel generator, supplemented by solar energy. Ethiopia has similar challenges of Fluoride as in Odisha’s case in India. IIn some parts of the country, especially inside the Ethiopian Rift Valley area, there is a high level of Fluoride pollution in the ground water sources. The planned Ethiopian drinking water project will be supplying and installing the water purification unit to communities in the Fluoride affected area. The thermal power sources considered are waste heat from electricity generators that are found in the small towns and rural areas where the fluoride water challenge exists. Due to the volcanic activities happened in the Ethiopian Rift Valley area, ground water sources have high concentrations of Fluoride, Arsenic, Boron and other minerals. The concentration of these pollutants in drinking water sources from wells is high which led to various health problems for the large population living in the area. The concentration of for example fluoride is as high as 26 mg/L, which is very large in comparison with the 1.5 mg/L of WHO’s permissible level. Safe drinking water availability close to rural communities is very crucial. This is not only for the health benefits, but also the economic benefit obtained from saving the time and labour that was wasted on traveling and collecting water for the family. This burden is mostly on the women who have other responsibilities as well. Supplying clean drinking water hence increases the productivity of Women in those area by investing their time and energy on other productive activities.